All three Democratic candidates in the governor's race agree Maryland's economic policies need work, but they disagree sharply about how much. Lt. Gov. Anthony Brown praised the developments of the past seven years during a candidate forum Thursday evening at Towson University. His opponents took turns after him and did not hear one another's remarks. Brown has served with Gov. Martin O'Malley since O'Malley took office in 2007. 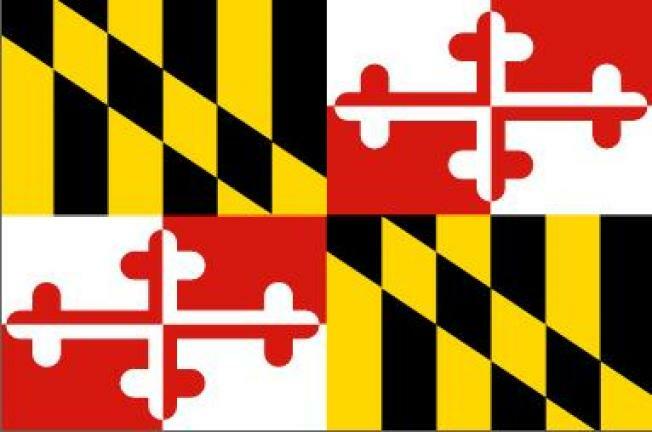 He noted Thursday that since the recession, Maryland's job growth has exceeded that in every other mid-Atlantic state. He defended recent decisions to borrow money for basic government needs. Del. Heather Mizeur, who has represented Montgomery County since 2007, said these debts wouldn't be necessary if not for certain tax breaks and loopholes. Attorney General Doug Gansler, the last candidate to speak, argued for a comprehensive review of Maryland's tax policy and renewed efforts to recruit more businesses. The primary will be on June 24. The Greater Baltimore Economic Forum arranged a panel of business and nonprofit leaders to question the candidates Thursday. They focused on plans to stimulate economic growth and make Maryland more attractive to businesses. The candidates' positions formed a clear spectrum: Mizeur on the left, with the strongest focus on social programs and a hard opposition to cutting corporate taxes; Brown in the middle, advocating a balance between reasonable tax rates and adequate government funding; and Gansler, stressing business recruitment more than the others. But all three agree strong infrastructure, including transportation projects and high-quality schools, is a key to economic growth. Brown boasted of achievements from O'Malley's time in office: Maryland's triple-A bond rating as it has emerged from the recession, reductions in tuition for public universities, lower crime rates. He said he wants to focus next on making education opportunities more widely available, partially by expanding the pre-kindergarten program. Mizeur took the stage after Brown. She criticized the General Assembly's recent decision to raise an exemption on the estate tax, which she said will cost the state $432 million over the next five years and will mainly benefit the richest 3 percent of Maryland's population. "When you're pushing through legislation like that, you have to come up with beg-borrow-and-steal to make the income gaps meet,'' she said. She said Maryland already has the region's second-lowest corporate tax rate. During a break for audience questions, a young man stood up and asked whether it was correct that Mizeur supports legalizing marijuana. "Nice,'' the man said, raising his thumbs before he sat back down. The audience burst into laughter. The mood turned serious again during Gansler's opening remarks. He ticked off statistics about how Maryland lags in industries such as manufacturing. "We're getting our clocks cleaned by our neighboring states,'' he said. He said Maryland hasn't had a comprehensive review of its economic situation and tax policy in decades, and he considers this a necessary step toward recruitment. He also advocates more vocational training options for high school students and possibly a high-speed rail between Baltimore and Washington, D.C., which he says could help bring more families to Baltimore. The candidates will appear together in televised debates starting next month.